Manchester’s Dead Sea Apes have been chasing new noise for a few years now. With each release since 2010’s “Soy Dios,” the self described “three man instrumental leviathan” – and it’s not far off the mark – have pursued various branches of psychedelia, noise, space- and post-rock – and whatever else you might want to call it. This year, we receive another, this time a joint release from Cardinal Fuzz and Sunrise Ocean Bender. 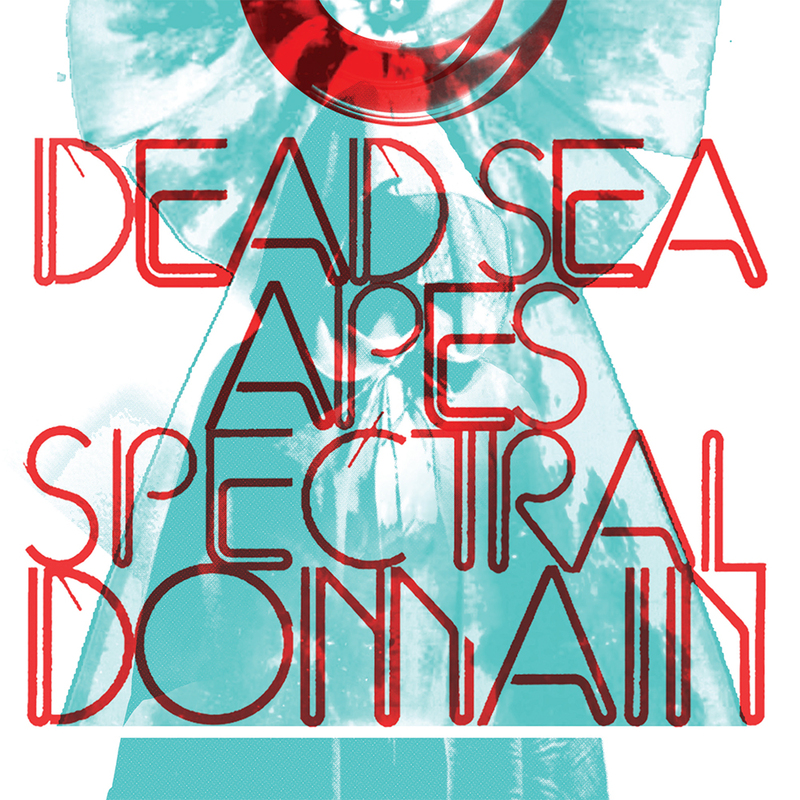 And “Spectral Domain” may be their best yet. Mid-album, “An Unclosing Eye” defies expectations. The song begins one way and, by the end, has taken a number of different paths. At its onset, it might pass as a strictly ambient piece that follows the fluctuating wave of a few warbling tones, but as soon as the percussion begins, spiraling in with multiple tom patterns, it becomes something else entirely. Still, the song, as it nears seven minutes in length, allows for other elements to creep in – passages of Krautrock infused guitar noise and weirdness, wafts of math rock, and more searing scenes of electronic landscapes. “Sixth Side of the Pentagon” leads us off somewhere else entirely. It’s still dense with layers and whirring with noise, but the song is a sort of space dub, which somehow works very well for the trio and expands their sounds once more. This one comes with a high recommendation. With a late September release, “Spectral Domain” is available for pre-order from Sunrise Ocean Bender and Cardinal Fuzz for U.S. and Europe respectively.